Crete is the largest of the Greek islands at 3220 sq. miles and the fifth largest in the Mediterranean Sea. 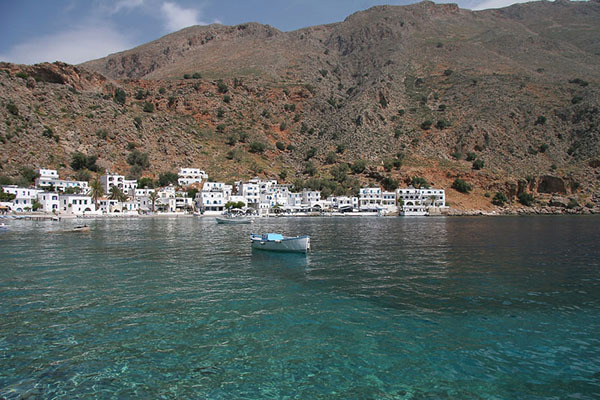 It is located at approximately 35° N 24° E. Crete is a popular tourist destination; its attractions include the Minoan sites of Knossos and Phaistos, the classical site of Gortys, the Venetian castle in Rethymno, and the Samaria Gorge, as well as many other natural sites, monuments, and beaches. Crete was the center of the Minoan civilization (ca. 2600–1400 BCE), the oldest civilization in Europe.